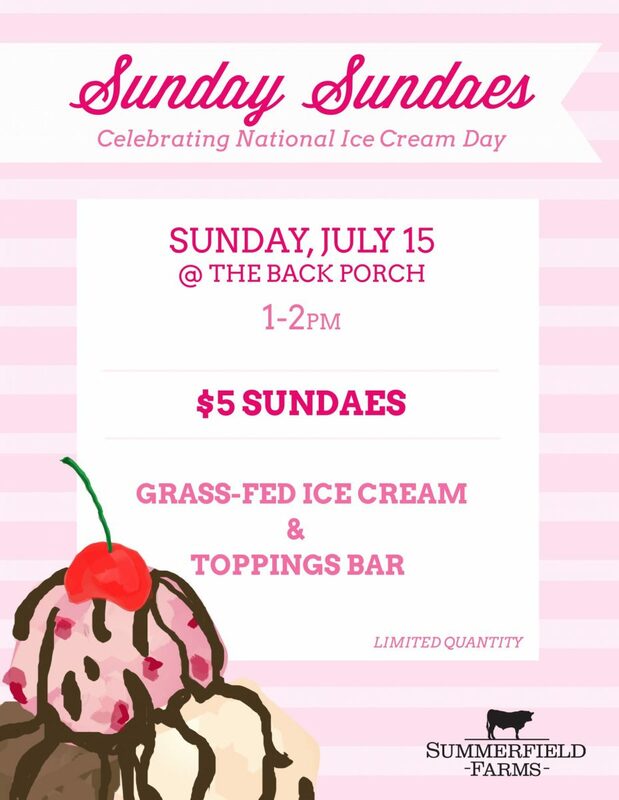 Join us on The Back Porch to celebrate National Ice Cream Day! Sundaes are $5 and are made with chocolate, vanilla, or strawberry grass-fed ice cream and topped with your favorite treats from the toppings bar. Ice cream is from local dairy Wholesome Country Creamery. Limited quantity, make sure to come early!